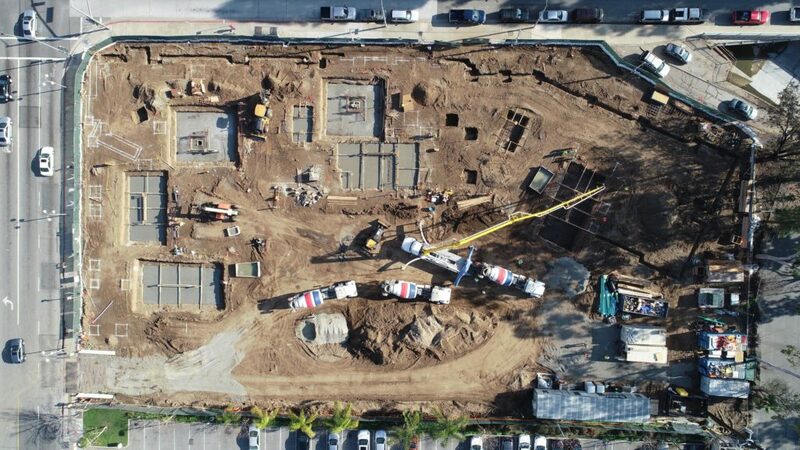 With construction having commenced about two months ago at our Merrill Gardens at West Covina job site in West Covina, CA, a major milestone is already under our belt; we completed our first large concrete pour for the project which consisted of 700 cubic yards of concrete! The construction team’s focus for the month of January will be excavation, reinforcing and placement of all shear wall, column and perimeter footings which will allow us to begin underground plumbing and electrical trenching. Here’s hoping that clear skies roll in at the end of January and carry us out of the wet winter season!